I contemplated how best to write this post as it covers two very contrasting events and two very different sets of emotions. There has been no easy way around it. I’ve not wanted one event to out way the reality of the other. Yes I won Hy-Vee and claimed the biggest prize purse in the sport this year, $100.000. Yet on the other hand, 7 days following my biggest career achievement I found myself on the roadside of the Ironman 70.3 World Championships, in tears, crippled by emotion and suffering an overwhelming sense of disbelief. I’m going to give this a shot. Tell a short story that is my first hand account of what it took to claim that elusive $100.000 Hy-Vee cheque. More so tell a story that covers the events that lead to my withdrawal from the Ironman 70.3 World Championships. I train to become a recognized champion, a champion of the world. This is my pursuit in life at the moment, my drive day-in day-out. It is a pursuit that will not last forever, I know that, we all know that, but it is a pursuit I will remain on whilst I continue to get faster and stronger. I’ve sacrificed a lot to be in the position I am today. I know what I want from the sport and I know what it takes to get there. I may never get there but I want to leave this sport knowing I committed everything I could to get there. In summary this is who I am. 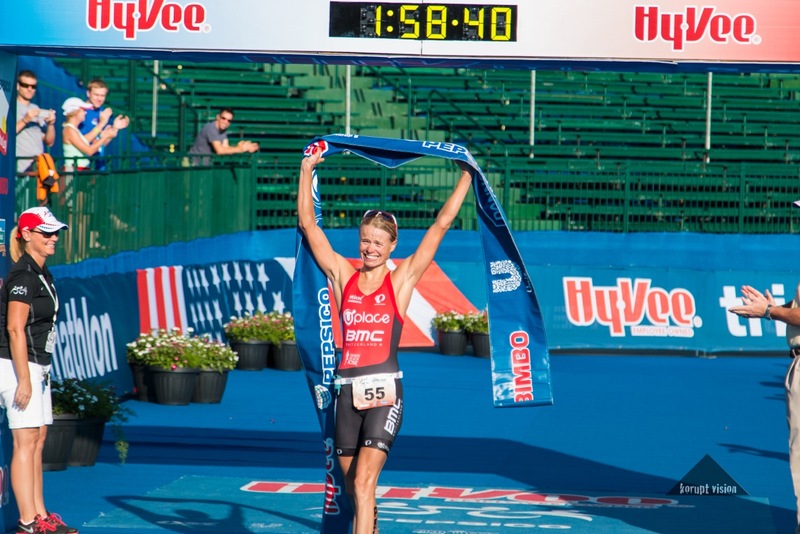 Winning Hy-Vee was incredible, the biggest, most satisfying victory of my career to date. 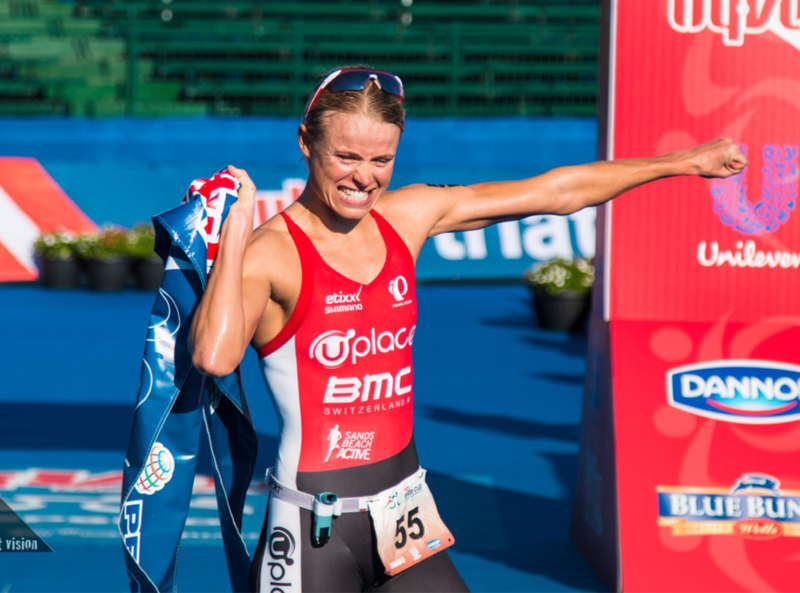 Like all championship events it required that I swam, biked and ran faster than I had done before in order to win. This I did and it brought me $100.000. But what may be striking to people is that I didn’t solely focus my training on what it would take to win Hy-Vee. 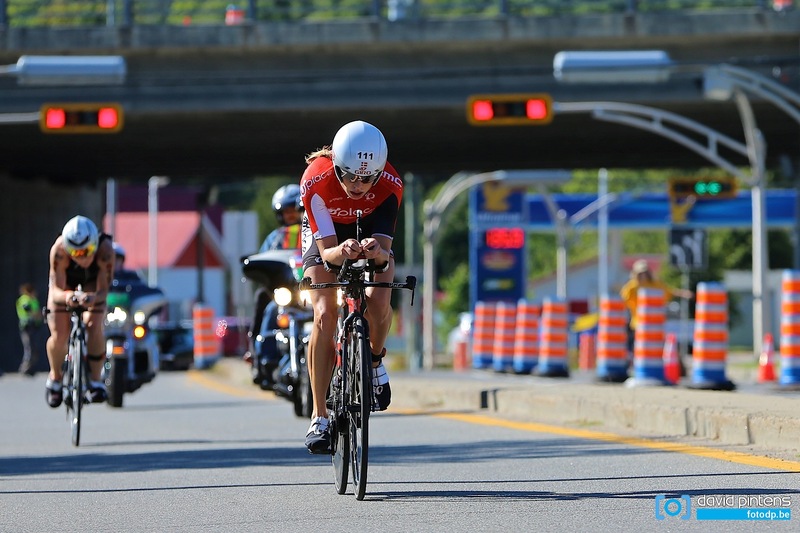 I focused my training on what it would take to contend for the win at Mont-Tremblant. That preparation, that work and that commitment put my body and mind in a position where-by, yes I won Hy-Vee but more so I was ready to contend for the win at Mont-Tremblant. There were critics that felt I couldn’t back up Mont-Tremblant off the back of an Olympic distance win only 7 days earlier. Yet Hy-Vee was always part of the process towards hitting championship ready form in Mont-Tremblant. Four out of the five Ironman 70.3 races I have completed to date have come off the back of a race the week previously. That includes the three victories. That wasn’t a coincidence; there has always been a plan. My withdrawal from the Life Time Tri Series was a decision to protect my pursuit towards the Ironman 70.3 World Championships; these Championships meant everything to me. Hy-Vee played ‘second fiddle’, a setup race to demonstrate form and have a good hit out. There are no words (and definitely no coverage) that can do this years’ Hy-Vee race any justice. It was racing at its best. All out, full gas, honest, fair and competitive. The depth is always something that makes a championship race competitive but beyond that the race was fast and intense. A look at my TrainingPeaks file from the bike tells the story of how honest and true Hy-Vee was. Yet in the grand scheme of things Mont-Tremblant meant more to me. This was ‘THE’ race, an event that I was 100% ready for. I’d used the entire period of 2014 to get me ready for what I needed to do on this day. Not the day of Hy-Vee, not the day of Racine 70.3, but this day. I wanted to challenge for the world title and I knew I could. I’d learnt from mistakes in earlier races, I’d tested setups and approaches, making use of all of the things that had worked. We applied them as part of the approach. I learnt from my races and used them as stepping-stones. I had observed and monitored the type of racing standard I needed to bring to Mont-Tremblant to challenge for the win. I brought the best I had. 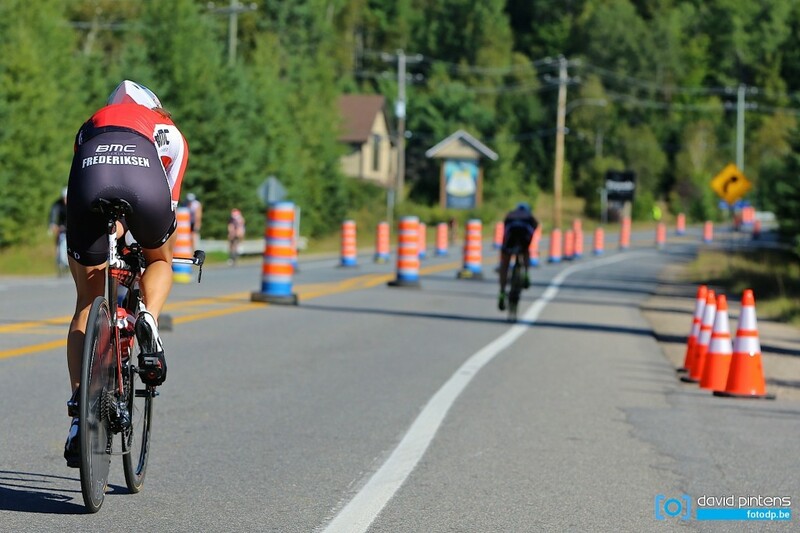 Hy-Vee showed me that I could race Mont-Tremblant the way I knew it needed to be raced to contend for the win. I needed a swim similar to that of Hy-Vee, whether alone or with people, realistically with people. There needed to be splits and the bike needed to set a standard that would likely not have been seen in the sport before. All of which became a reality, until 57km into the bike. 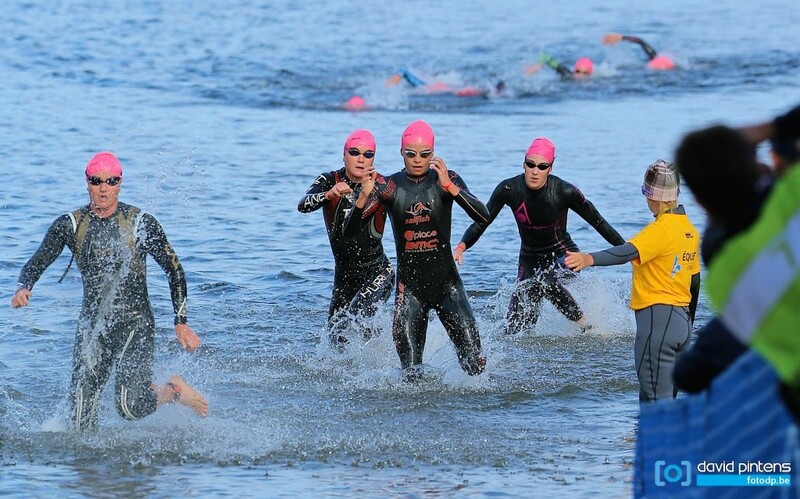 The swim went as expected, potentially could have been a little quicker but it caused big gaps behind. When a group contains Jodie Swallow, Daniela Ryf, Annabel Luxford and Mary Beth Ellis it means business, and it did. These girls not only have experience but they have incredible speed, stamina more-so grit to make the human body suffer. From the moment we exited T1 it was ON! Seriously ON! Without the need to communicate we all knew that we had an opportunity. This 90km bike ride didn’t really need much thought beyond “ride as hard as physically possible and don’t think beyond the next pedal stroke.” Ryf and Swallow dominated the front two positions. I sense from Jodie’s post race musings that she may have been a little disconcerted that neither myself, Annabel or MBE came to the front. That is nothing more than credit and praise for Jodie and Daniela’s work. If I could of come to the front of the race and contributed to the high pace I would of done so. The pace was so intense I’ve never witnessed anything quite like it in 70.3 racing. More strikingly the race was honest, all within that leading 5 group were on the limit, with such a high pace set out front it was difficult for me to do anything other than ensure the gap grew no bigger than 12 meters. It was something of reassurance that throughout almost the entire bike ride we had a drafting moto following us. We are professionals we want a fair, honest and clean race. When a drafting moto follows it allows for communication to ensure the 12 meters is being held. It’s not always easy when going flat out, head tucked, to accurately assess 12 meters, a quick thumbs up from the drafting moto provides comfort and reassurance. Even eye contact from time to time makes them aware that you want to legitimately ride within the rules. This was the theme throughout the entire bike ride. Honest and true racing. Other than the occasional ‘suspect’ passing move in the early stages things were in order. At around 57km after one of the toughest surges I have ever been involved in, the Daniela Ryf attack, I seemingly lapsed in concentration. Through a fast yet technical part of the course, whilst being funneled into a narrow lane I unknowingly dropped just inside Jodie’s 12-meter zone, it was unintentional, if only for the slightest of moments, it was a lapse in concentration that would ultimately end my race. I was, in that instance shown a red card, no warning, no discretion just a straight red meaning a 4 minute drafting violation. In that very moment I felt as though my world had ended. More so I felt cheated, hard done by, distraught, emotional, disappointed, so many emotions flooded my body and I simply could not for the life of me comprehend what had just happened. It was not in the nature of how the race was developing, at least not for us front women. We were ‘killing each other’ legitimately, passionately and fairly all wanting an honest slice of the World Championship title. From that moment forward I spent my time asking the unanswerable question, why? My foot came off the gas. My mind entered a spiral that was filled with irrational thoughts and pure emotion. I hit the penalty tent and was humiliated, ashamed, I’m not a cheater, and I live my life to be a recognized legitimate champion. A 4-minute drafting penalty indicates actions of a racer I am not. I don’t cut corners; I don’t take the easy route. It isn’t who I am and I don’t represent the sponsors I have to be classified as a cheater. None of them deserve that. I didn’t feel that I deserved to be there and it pained me so much. Emotionally I was simply overwhelmed and by that point the emotion of the moment had gone too far, destroying any chances of me pulling through this. I had put all I had into this one-day; executing a race I was capable of. Yet an external, uncontrollable factor determined that I was gaining an unfair advantage worthy of a drafting violation. It was a scenario I had not planned for. It crippled me in a way that I was unable to overcome it. Had Ben not been at the penalty tent I likely wouldn’t of left it. Ben provided me with some glimpse of hope that I could salvage something. That hope lasted about 5km, I was just not running, or at least that is how it felt. I could not contain focus on the situation, instead continuing to question my presence in the race, asking the unanswerable question of why? To many people choosing to DNF will be seen as an easy option. It wasn’t. It was one of the toughest calls I have made in my career. It will stick with me for a very long time but as the saying goes “time heals.” Frustration and emotion on this occasion got the better of me and ended my Ironman 70.3 World Championships. It shouldn’t have but it did, I can’t change that now. It is unfortunate, but if it has done one thing it has taught me lessons and fuelled my ‘fire’ to achieve what I feel I can achieve. Post Mont-Tremblant the support and camaraderie between professionals has really shone through. I have been touched by the messages of support and compassion from fellow professionals. Those inside that leading five, those just outside it and those in another part of the race, but all seemingly understanding, have expressed sadness and compassion on my behalf and it is extremely comforting. I do feel however I owe you an apology, withdrawing, in some ways is disrespectful to all the hard work and dedication you put in to achieve the same things as I do. On the outset it of course looks like things didn’t go my way so I pulled the plug, true under different circumstances, far from the truth under these circumstances. You deserved a chance to prove yourself and you were robbed of that chance. Things like this are added to the growing list of discontent with WTC, sadly to all of us who were building our dreams around this organization. Just my opinion. I will be following your career and thinking good thoughts, and want to see you go head to head with the best again soon. Keep your head held high! Scott: Thank you very much for your kind words. Good luck with the rest of your 2014! I don`t Know you personally but I am a fan of yours. I admire you for your dedication and professionalism. I'm not an athlete but I understand your emotions. I'm convinced that this experience has made you stronger and definitely will help you to shine in the next race. I have seen you training Helle, 150% committed. A true champion and a wonderful friendly person. We all know you play by the rules and would never think anything more. You will regroup and put your disappointment behind you. I only ever see you looking forward, so best foot forward and hope to see you at SB. Take Care. Helle i have you in so high regards It is just amassing what you do.